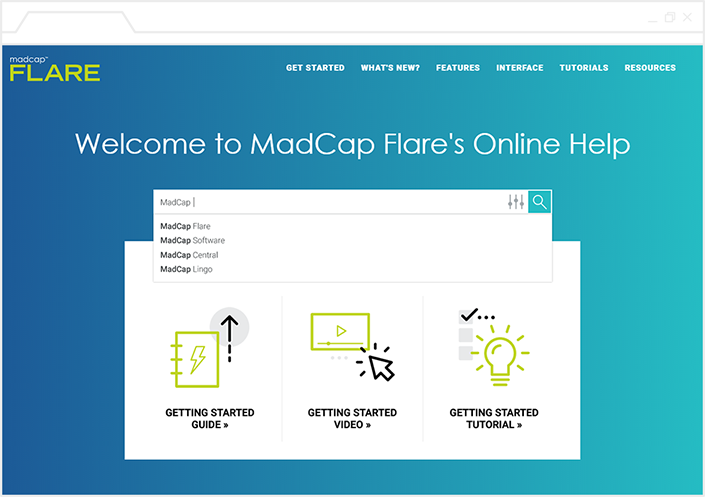 We’re excited to announce the new release of MadCap Flare 2018, introducing a number of significant features that provide users with enhanced functionality and flexibility. 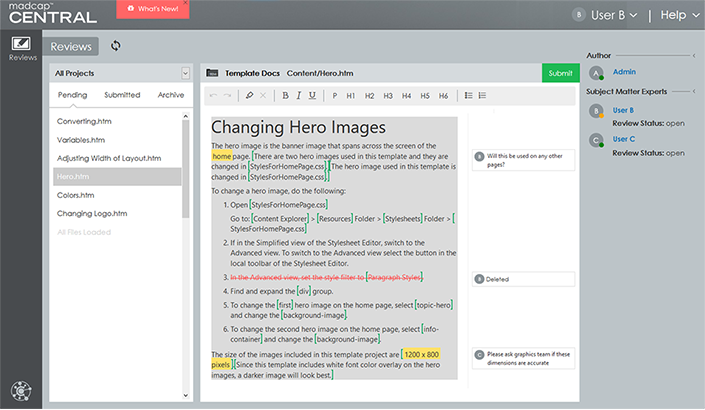 In this new release, we’re empowering entire documentation teams with features such as cloud-based editing and review capabilities, extended search options for HTML5 outputs, integrated MadCap Analyzer functionality, and much more. A lot of users have been asking for this particular feature, and we’re excited to announce a streamlined entirely cloud-based contribution and review workflow between Flare and MadCap Central. With the integration between MadCap Flare and MadCap Central’s new cloud-based editor, anyone in your organization can now contribute and review Flare content – whether they’re a Flare user or not. This feature is a great opportunity to enhance team collaboration, as subject matter experts, authors, and other non-Flare users can easily review and annotate content regardless of platform (Mac or Windows) by simply using a web browser. With this new workflow, everything is cloud-based, meaning that non-Flare users such as subject matter experts don’t need to install any additional software to review content. Since contribution and review completely takes place in the cloud, all they need to do is log in and access MadCap Central. 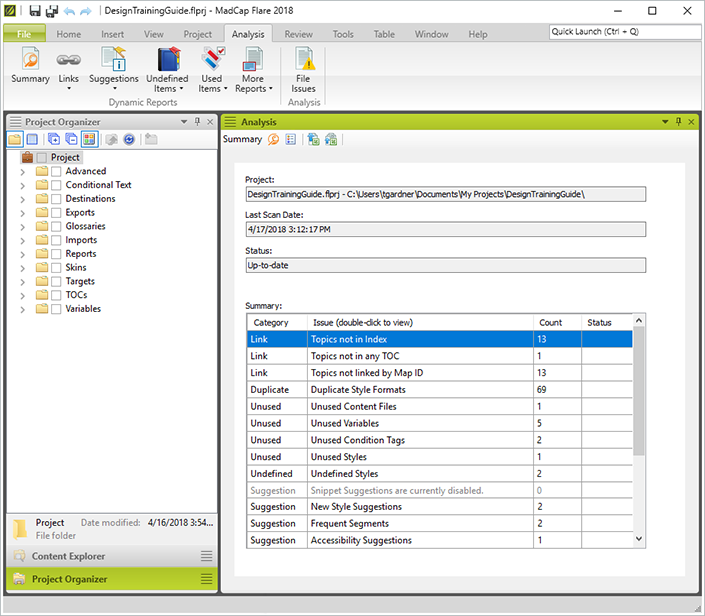 Subject matter experts have access to the lightweight web editor for a simplified interface, and can only view options and features that are relevant to the contribution and review process. Changes are saved automatically, and multiple SMEs and authors can edit and add comments simultaneously. Want an in-depth look on how to use this new workflow? Take a look at my upcoming webinars next week (details below). Elasticsearch is an open-source, RESTful, distributed search and analytics engine that enhances the way that your users search and find the information they need. This new search option can now be added to HTML5 Top Navigation, Side Navigation (new with this release), and Skinless websites. Elasticsearch improves the search experience by offering your readers predictive results, auto-completion of search terms, and more. Want to display topic navigation on the left or right side of your outputs? Flare now includes a side navigation HTML5 output, in addition to the previously released and popular Top Navigation output (to take a look at examples of Top Navigation outputs, view the Customer Showcase). 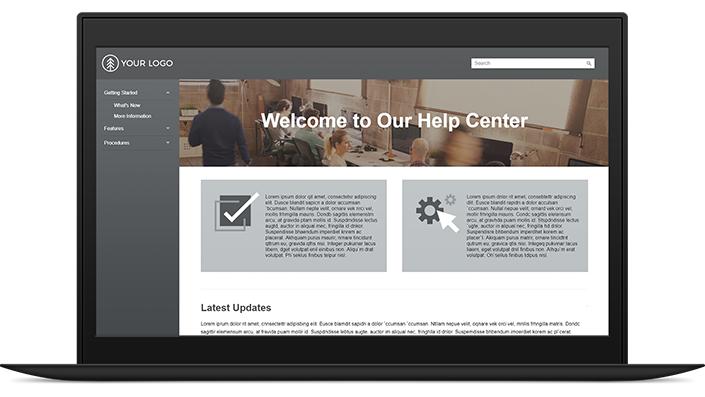 This new output lets you take advantage of traditional side navigation elements of tripane-style Help sites, with the benefits of improved SEO and user experience of frameless Top Nav outputs. Enhancements to Salesforce Connect add support for multiple languages and the latest platform, Salesforce Lightning. Automatically synchronized tables of contents (TOCs) highlight the topic that is open as a user navigates from one topic to the next in HTML5 output. Microsoft product versions now supported include SharePoint 2016, SharePoint 365 and Team Foundation Server 2018. Two multimedia products that are tightly integrated with MadCap Flare are now bundled in at no extra cost: MadCap Capture for image capture and editing, and MadCap Mimic for creating videos and software simulation movies. Flare 2018 also comes with a number of bug fixes, performance enhancements, and more. Take a look at our What’s New topic to see the full rundown of all the changes. Join Jennifer Morse, Director of Product Evangelism, for a comprehensive look at the latest release of Flare. Whether you’re a new user, or a long-time Flare expert, you won’t want to miss this webinar. We hope you enjoy the newest release of MadCap Flare! And to test out the new contribution and review workflow, visit our What’s New page on MadCap Central. If you have any questions, feel free to reach out at jmorse@madcapsoftware.com.